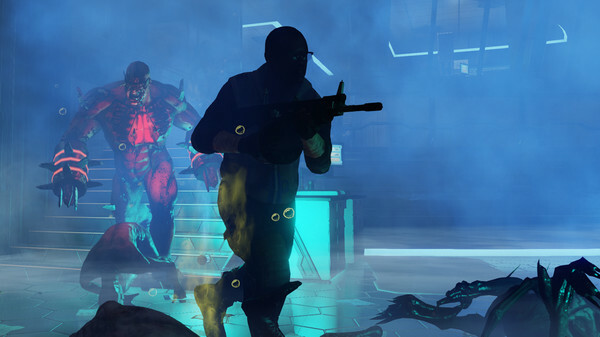 We finally have something other than silence from Tripwire about Killing Floor 2, and the news isn't great right at this moment, but it's still planned. Quote We had a platform engineer and one of his duties was Linux. We are currently looking for a new one, but platform engineers are one of the more rare programming creatures. Quote It is very much still within our plans. But we are restricted by manpower across most of our plans. Nice to see, but it means it won't be coming any time soon. I imagine it won't be on Linux until way after the full release. In KILLING FLOOR 2 players descend into continental Europe where the outbreak caused by Horzine Biotech’s failed experiment has quickly spread and gained unstoppable momentum, essentially paralyzing the European Union. Just one month after the conclusion of the events in the original KILLING FLOOR, the specimen clones are everywhere and civilization is in disarray; communications have failed, governments have collapsed, and military forces have been systematically eradicated. The people of Europe know survival and self-preservation too well and lucky survivors have gone into hiding. Given the microtransaction shitstorm, the delay may be a good thing. Hope Tripwire gets their act together instead of only seeing money. So long as they stay purely cosmetic, the microtransactions are far from being a "shitstorm", but I guess the gaming community loves to hyperbolize absolutely everything instead of attempting to address stuff that is actually kind of messed up. Tripwire rivals Valve in slowness. The upside is that they support their games for a very long time but the downside is that it takes forever to get their games at their most polished. I say this as a RO and RO2 vet and occasional KF player. It's not too surprising though when you consider that they're ex modders working with a very small development team. I wouldn't buy this in early access even if it was on Linux. As fun as their games are, I just want the finished product and for it to work well. Edit: As for microtransactions: I trust them not to be stupid about it. KF1 had them too - in the form of skins. From what I read their plans were basically the same, just cosmetic stuff. I played KF2 and I can say that micro transactions doesn't influence the gameplay at all. The game development is slow but the Early Access version is crash free so far and I didn't noticed any bugs so far. It seems that this is becoming a thing for Tripwire, they did it with Red Orchestra 2. PUN I played KF2 and I can say that micro transactions doesn't influence the gameplay at all. The game development is slow but the Early Access version is crash free so far and I didn't noticed any bugs so far. As long as they keep it that way, unlike with Payday 2. Having it at all is dangerous as they can choose to nerf the game and suddenly make it pay-2-win. TouchMyBox So long as they stay purely cosmetic, the microtransactions are far from being a "shitstorm", but I guess the gaming community loves to hyperbolize absolutely everything instead of attempting to address stuff that is actually kind of messed up. Having a microtransaction system built into the game is dangerous as the devs could more easily turn it into Payday 2 at any moment. "Now introducing better weapons in our microtransaction store!" That, plus the fact they focused on that before the game is even out, and when there is still hardly any game content, is why there was/is a shitstorm of player anger if I understand the situation. Just read through various reviews and look at the scores and you'll see the anger (i.e. "shitstorm"), it's not hard to find. Just remember their Linux support for the 1st KF... Pretty miserable. I'm not buying a single TripWire game any time soon. Isnt porting with the unrealengine just compiling for the other platform and fixing bugs?